After switch projects, link to the previous project is broken. How can I reconnect this? 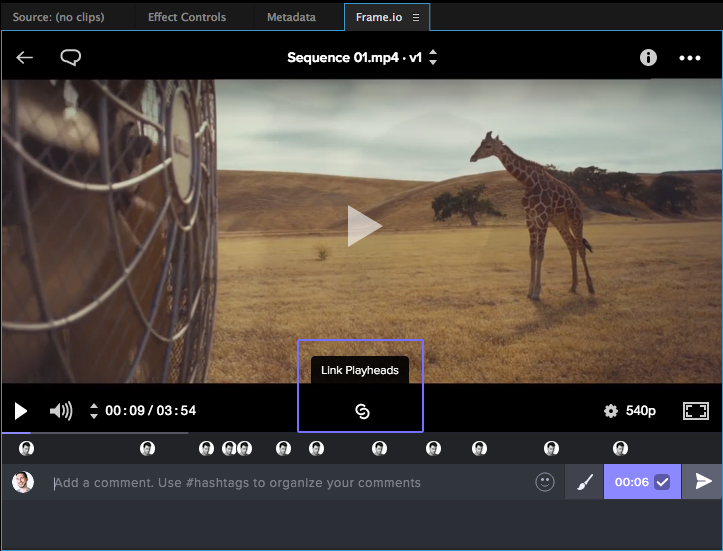 If you've switch projects and now your Frame.io clip isn't linked to your sequence in Premiere, you just need to click Link Playheads to link it back up. In addition, you can adjust the frames to link.